Water views and wildlife are currently spectacular of Tuckahoe Creek! This was one of the first lots to go under contract in the newer section for that reason alone! 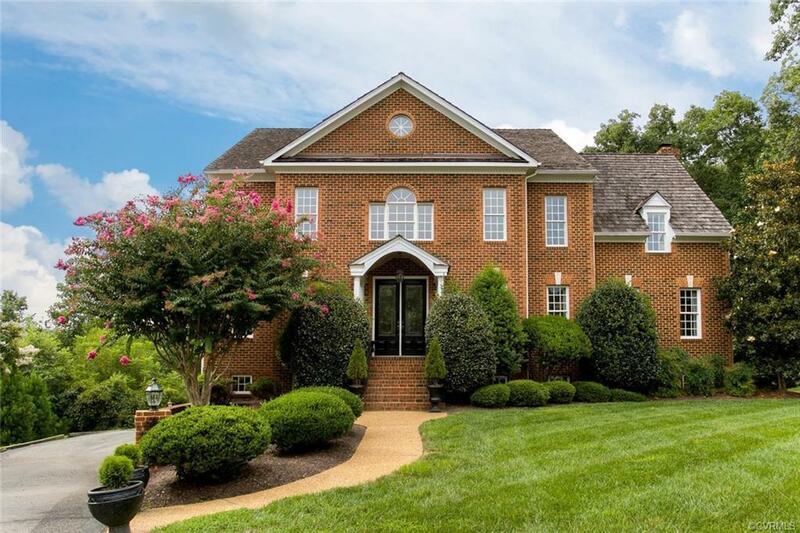 Stunning brick front Colonial Homecrafters, Ltd quality with 5 bedrooms, 5.5 baths positioned on a cul de sac. Recent updates include new carpeting in all bedrooms, refinished hardwoods on much of first floor, granite / quartz tops with new faucets in 3 bathrooms including the master, new patio door to deck, gorgeous stone patio with wall accented with lanterns and new hot tub! 9 foot ceilings on 1st /2nd floors. Completely open basement- masonry fireplace ,wet bar & full bath with walk out access to stone terrace. First floor offers expansive open living space highlighted with windows & patio doors to deck plus masonry fireplace. Gorgeous kitchen accented with custom cherry cabinets. The second floor features 3 large bedrooms, private & shared bath in addition to master bedroom-encased with windows for peaceful views of wetlands. Large office- grand cherry cabinetry is located off the master. Irrigation/security system. Don't forget FoxHall amenities include clubhouse, pool & tennis! Minutes to 288/ 64 & Greengate!